"Is Ambleside a Christian School?" Stated simply, yes - we are absolutely a Christian school. Ambleside's philosophy is guided by the work of British educator Charlotte Mason who was a devout follower of Christ and had a deep respect for the work of the Holy Spirit in the lives of children. We believe that children are created in the image of God and, because of that, they are worthy of our respect, love, guidance and care. Because they bear the stamp of the Almighty, each one has infinite dignity, worth and potential. Knowing these things affects the way in which we approach education. Our atmosphere is one of peace and joy where the love and lordship of Christ pervades all. Our curriculum is rich in ideas which aid students in a better understanding of God and the state of mankind. Man's potential for good and evil are often part of our discussions as we seek to point students toward noble ideas that are good, true and beautiful. Finally, we understand that our role as educators includes training children in the habits of the good life. To neglect a student's habit formation is to despise them. And so, we see weakness not as an annoyance or an area to manipulate their behavior, but as a chance for growth. Our teachers actively address weakness with students and their parents and genuine growth happens as a result. As we study the example of how Jesus taught and shepherded, we see much crossover between his approach and ours. Rather than condemning, he inspired - often through stories (parables) which cut to the heart of his listeners and transformed them from the inside out. This abundant life is the daily pursuit of students and teachers at Ambleside. "So, you guys don't do grades...?" Measuring, we're always measuring. From the square footage of our homes to the $0 budget to the number of days until vacation, we love to know information with precision. In fact, measurements and precision are essential to daily life. The challenge comes when we seek to apply this sort of precise measurement to a student. In Charlotte Mason's words, persons consistently "exceed our power of measurement." When we stick a grade of 87% on a child, what are we saying? As precise as a number may be, it's interpretation can be fairly subjective. Some parents might believe this is great, others may think that an 87 is not good enough. The truth is that both parents could use a lot more information about their child than a number. 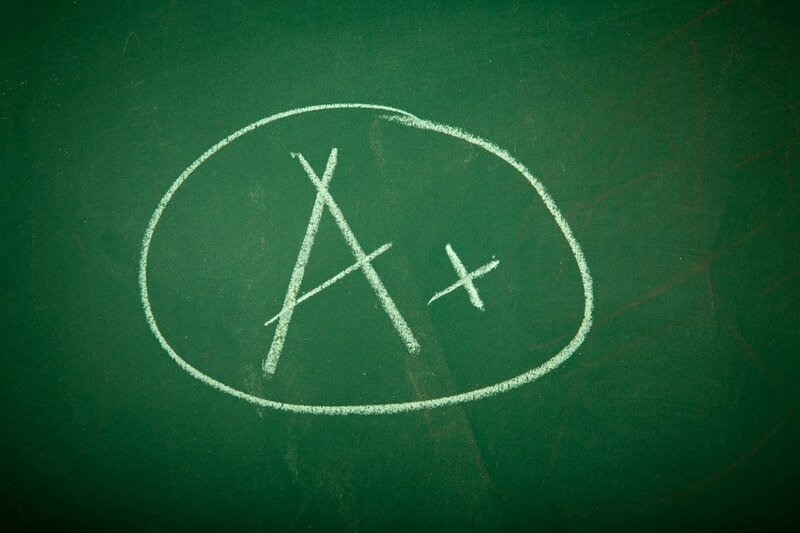 At Ambleside, we believe that grades are an insufficient means for measuring growth. And so, we provide much more than grades for our students. At the end of each semester, our students come home with a Report of Growth. In this report are thoughtful words, observations and strategies from each child's teacher which cover maturity traits, and relationships with each individual subject. At the end of this 12, or so, page document a parent has a very clear idea of how their child is growing and what changes are needed to support continued growth. As helpful as these reports are, we recognize that one major question looms - "but what about transcripts?" Yes, life happens. Families move. And, we completely understand the need for a traditional transcript for transfers and college admissions. Ambleside absolutely can create a traditional transcript when necessary. We do keep these transcripts on file for our High School students who, by the way, thrive in college. Care to continue the conversation? Comments are on - we welcome the discussion.